Currently rated the #2 Center in the nation, Branson Bragg is one of Texas’ top targets and plan A to fill one of the biggest needs Texas faces, OL. Bragg is the son of an AP Chemsitry teacher. His mother will quiz him about chemistry over dinner. so it’s no wonder that he got a 30 on his ACT and has a 4.2 GPA. Both his parents went to ACU where his mother played basketball, threw discus, and played volleyball. His father threw sh0t put because his father’s father became a shot put/discus coach, but before that he was 1st team all-state. After college his father coached offensive line for a while. I guess that coaching gene from his grandfather is getting passed down the line because one of the first things Branson told me was he wants to be a coach. Branson is in love with the X’s and O’s of football using his Christmas money to get NFL Game Pass. With this he takes the best rated offensive linemen, looks up their game film, and breaks it down to see what makes them great. At 6’4 275, he’s a touch stiff to play tackle at the next level. Reminds me of Ben Powers who plays for Oklahoma. Thunderous hands and absolutely finishes people off. May have to watch hitting people on the ground as NCAA refs will call that, but love love love the aggressiveness (Hi Will here. Branson calls defenders “roaches.” Aggressiveness is baked in). Branson understands angles and how to work to the next level on linebackers. When he gets his hands on you it’s over. Nice hip snap when facing up and drive blocking a defender. Generates significant movement and will be a great fit in any offense. Projects to be an elite interior OL who can play guard or center. Elite powerful player who should be a priority. It all started because of his grandfather. Way back Branson’s grandfather coached a boy named Caleb Seal in small town Childress, TX. Seal was a great shot putter and went on to play at Tulsa. From there he became the shot put coach. On top of this Tulsa’ head football coach Montgomery grew up in a small town in New Mexico called Lovington. It just so happens that is where Branson’s mother grew up and they knew each other. Well, Coach Montgomery moved away from there to the town of Childress for one year where he became best friends with… Branson’s father. Montgomery happened upon Branson’s film, who in order to get in contact with Branson emailed Seal, who emailed Branson’s grandfather, who emailed Branson. The message was they wanted to see Branson in person. When he got there they offered him on the spot. After that Oklahoma State offered and it was off to the races. Texas was Branson’s 8th offer back in June of 2017. Since then Branson has been building a relationship so strong that whenever Tom Herman comes by Crandall High School, he gets a big hug from Mrs. Branson. Branson is well aware of Texas’ new OL coach, telling me “I knew before he got to Texas that he is one of the best in the country.” While he was researching on how to be a coach and who was the best, Herb Hand’s name popped up more than once. Branson also has a strong relationship with former OL coach Derek Warehime, who recruits love. Although Texas has the best relationship, Oklahoma is the program that has been in his ear the most. Oklahoma actually offered Branson a few days before Texas and have been blowing up his phone. Of all the coaches he’s in contact with, Coach Bedenbaugh texts him the most. Branson has been up there a few times and absolutely loves the facilities. In the end, Branson’s decision will come down to which school is the best fit for him academically and athletically. That race will come down to Texas, Oklahoma, A&M, and Arkansas with Stanford as a wildcard. – Rice grad transfer LT, Calvin Anderson announced he will take an official visit to Oklahoma this weekend. He also stated that the visit will be his last and will be followed by a decision between Texas, OU, Auburn and Michigan. – I spoke with the father of 2018 RB, Noah Cain (IMG Academy). Cain’s father said they won’t be at the jr day but said they’re working on their spring visit schedule and Texas will definitely get a visit. – Right before NSD, two of the top 2019 OL stopped by Texas for a visit as 247Sports first reported. Allen (TX) OG EJ Ndoma-Ogar and IMG Academy (FL) OT Evan Neal stopped by. Their original plan was to visit both Baylor and Texas A&M for their JR Days that weekend. But with Neal being at school in Florida, they wanted to see as many Texas schools as they could so they stopped in Austin for a quick visit. Ndoma-Ogar won’t be at Texas this weekend, he’ll be visiting Mississippi State and Ole Miss. But he told me that he’ll be back at Texas in a few weeks for a visit. – 2019 OLB, De’Gabriel Floyd (Los Angeles, CA) holds offers from the likes of USC, Florida, Auburn, Georgia, Florida State and a host of others. He recently picked up a Texas offer. Floyd described the Texas offers as big because he actually has family in Texas. In fact, Floyd is set to be in Austin this weekend for a visit to UT. “I have family in Texas. 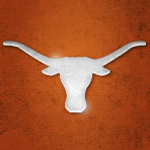 So, it was, somewhat, a way to go out and visit them but the main purpose of the visit is to get to UT’s junior day. I’m very interested in UT. They’ve made their way into the list of top schools that I have so far”. Floyd says this will be his first visit to any school in quite some time, “I haven’t been on one (a visit) in a while but freshman years I went to Michigan, Notre Dame, Arizona and Arizona State”. The family connection to Texas is huge. I plan to speak to Floyd after the junior day to get a sense of just how strong those family ties are and what role they’ll plan in his final decision. Floyd reminds of last year’s top ATH, Micah Parsons who signed with Penn State. Floyd is a linebacker but he’s returning kicks, playing wide receiver. I don’t know if we’ll see a big guy move like Parsons in a while but Floyd has some of that exceptional functional movement you don’t expect to see on someone his size. He can play on the edge but you also see him read and run or blitz the interior and while he’s lined up yards off the LOS, he beats everybody to the ball carrier. Once again, you’re seeing a quick first stop down and a guy who can run and hit with bad intention…this is another classic Todd Orlando offer.